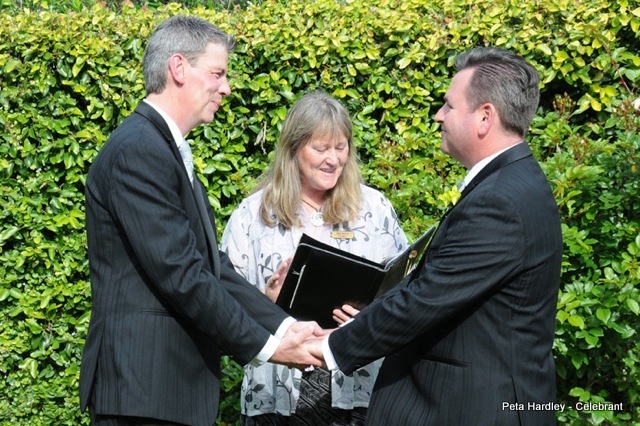 Well I haven’t blogged for a while as I have had my head down and tail up meeting with couples and writing their special ceremonies. They have all been different unique and each one was special. 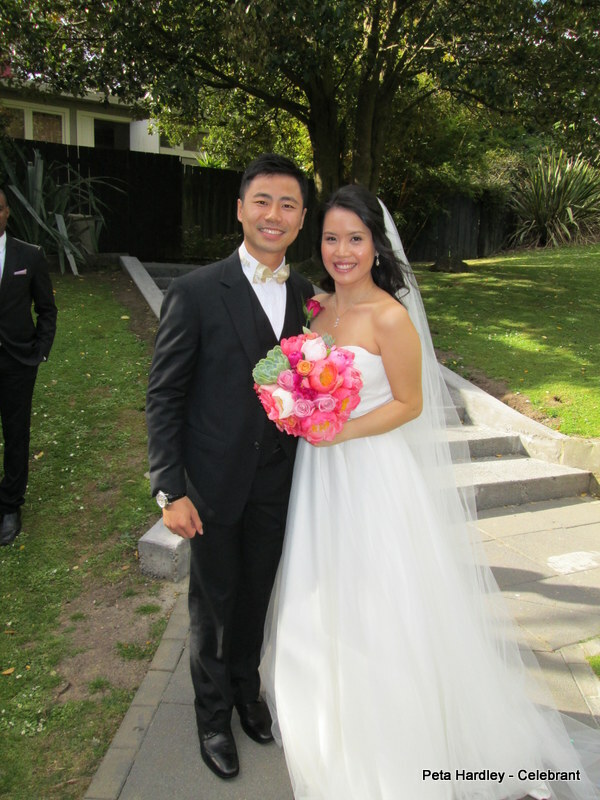 Sunny and Jill had flown in from Hong Kong to share their special day at Sorrento in the Park. 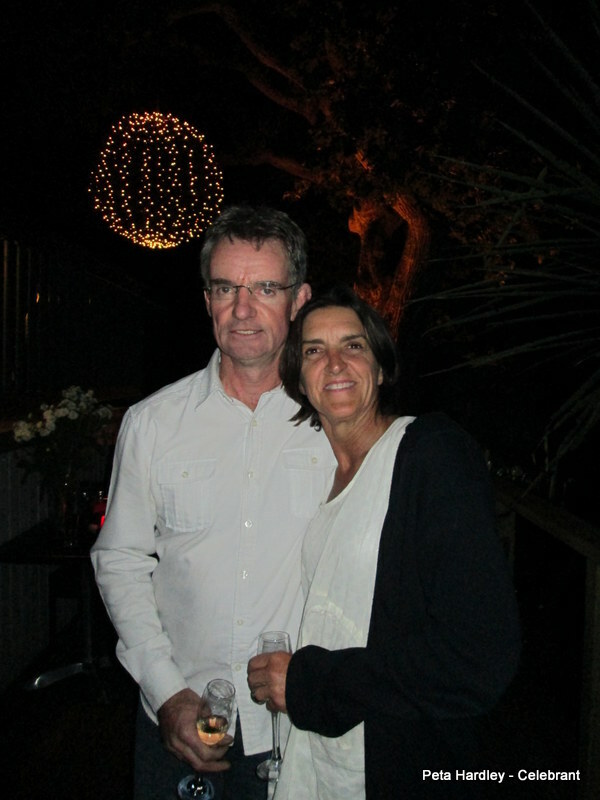 They even completed their ceremony with a colourful balloon release. 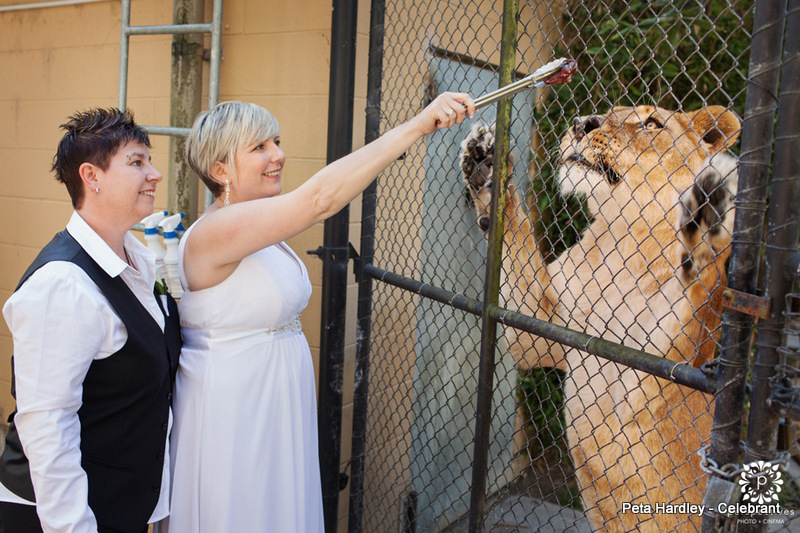 Jen and Karla (who were Yari and Mat’s witnesses) shared a magical day of their own the next day, when they became Civil Union Partners at the Auckland Zoo. 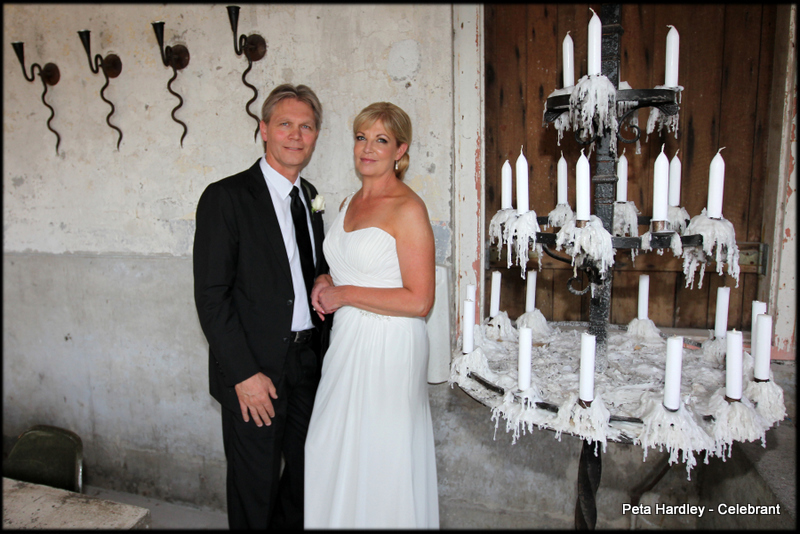 These wonderful ‘action’ photos are from Perspectives Photography – the best photographers in the business! 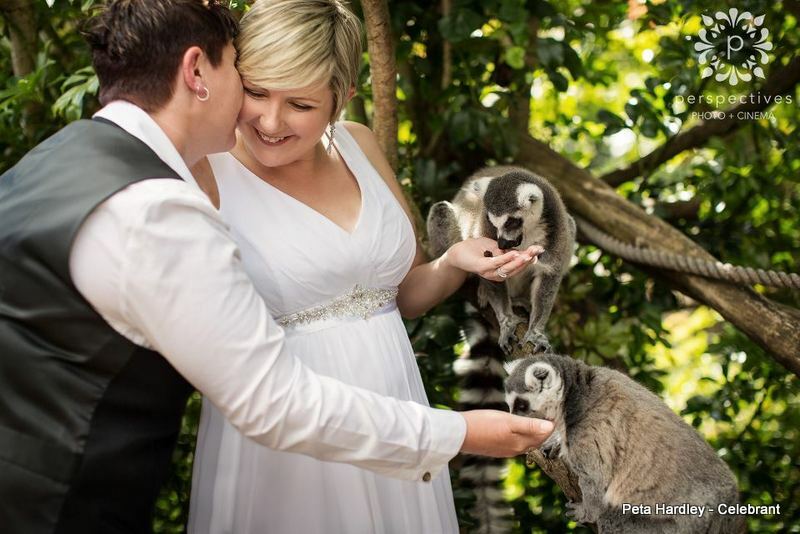 Jessie and Mark looked resplendent on their magical day, held at the tropical wonderland of Landsendt. Despite dodging the raindrops, I have never seen so many smiles. 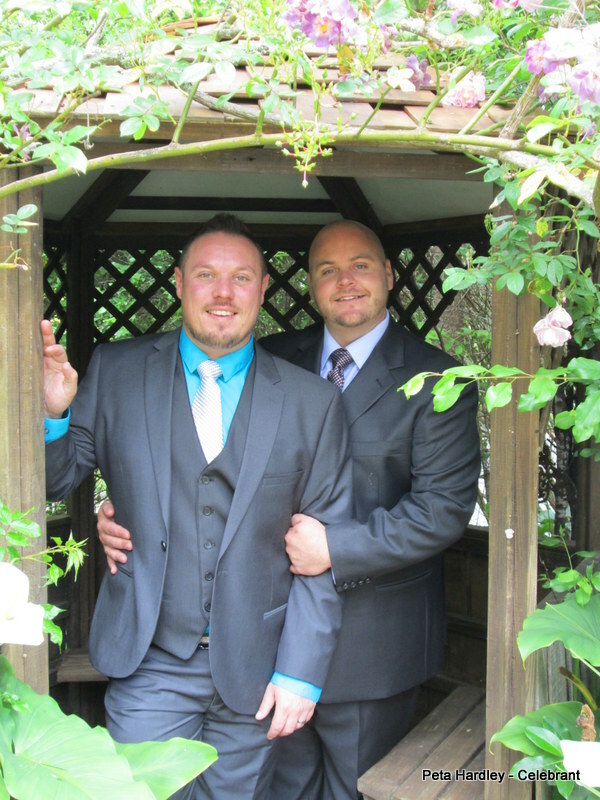 Paul and Matt had a hot sunny day to celebrate their Civil Union at a friend’s home. 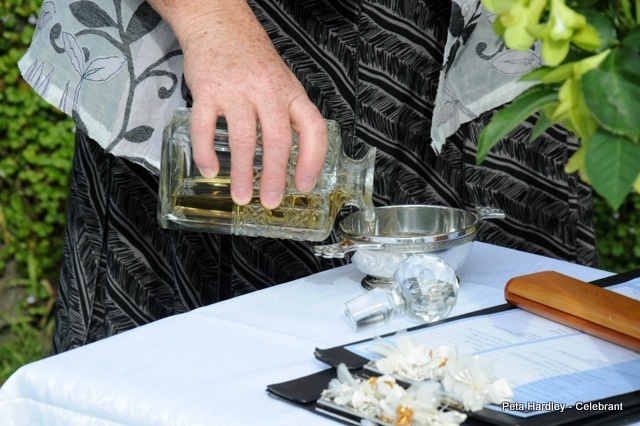 To honour Paul’s Irish ancestry they shared their first drink from a Quaich – the ceremonial celtic toasting cup, which was filled with nothing else but the best whiskey. 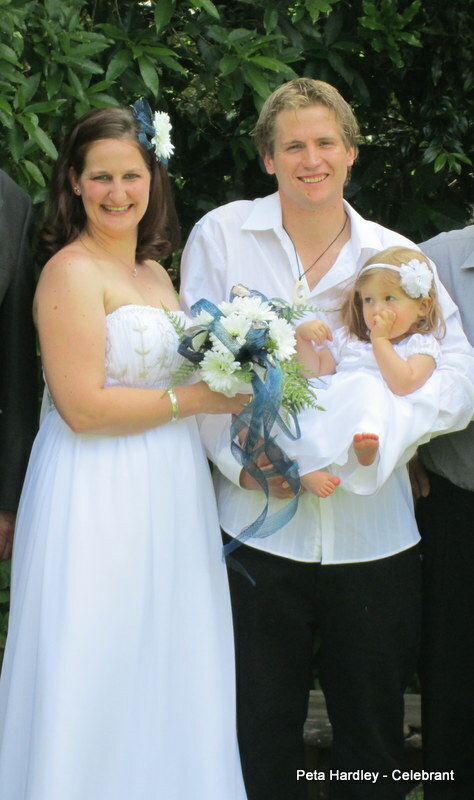 Emma and Michael along with their beautiful daughter Nikita, celebrated their wedding here at Casabella. 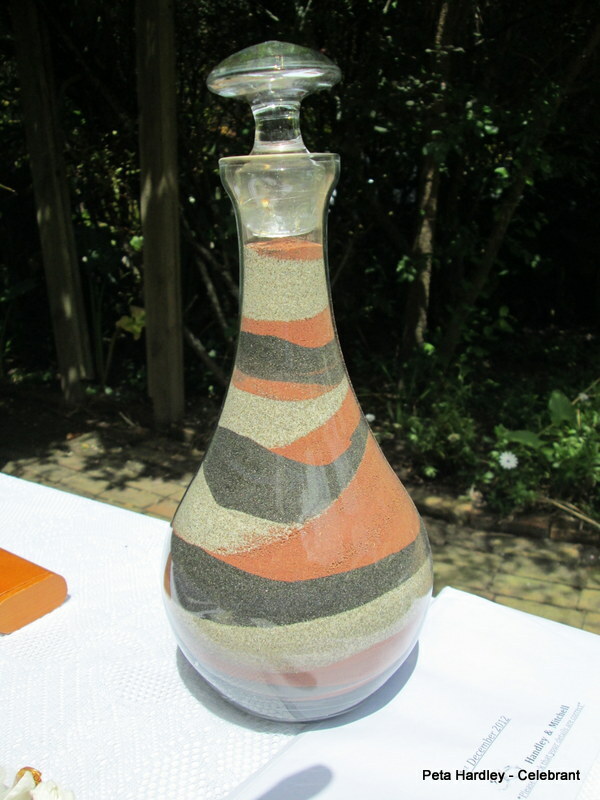 They shared a sand ceremony depicting sand from the east and west coast of New Zealand as well as the rich red sand from Michael’s homeland, Zimbabwe. 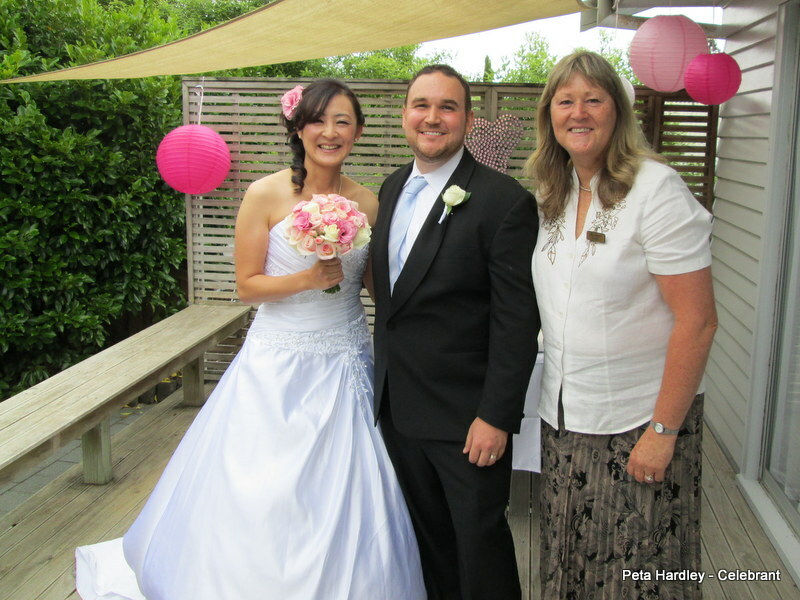 Finally there is Kumi and Ryan who held their lovely wedding at their home. As well as a few friends, they included family from overseas via Skype, which was pretty cool. 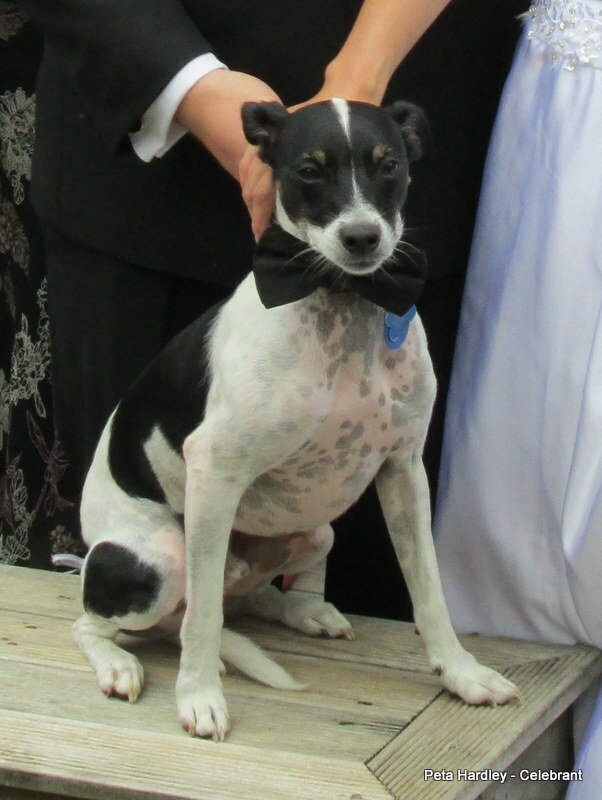 They had no bridal party apart from their dog Calvin – complete with bow tie. 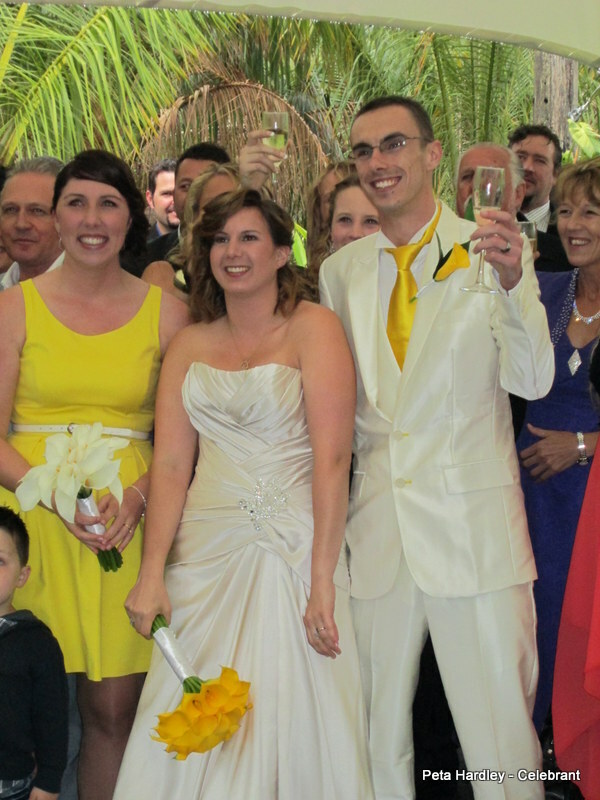 Congratulations to all these wonderful couples, their families and their furry friends.